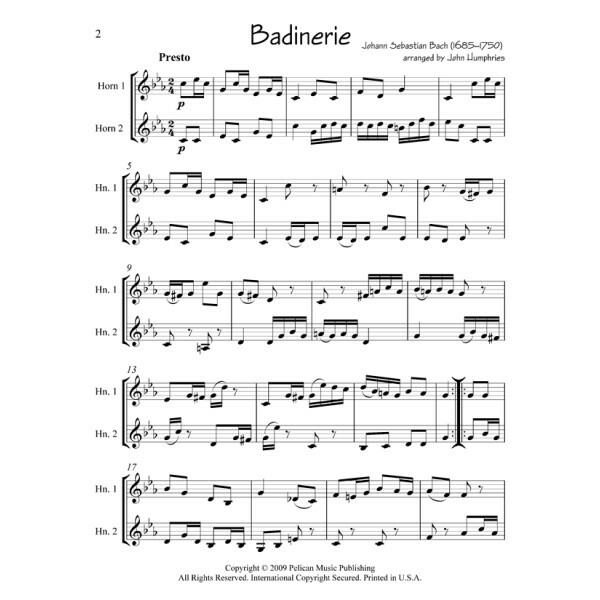 Badinerie or “Tändelei” is the final movement from Bach’s Orchestral Suite No. 2 in B minor, originally written for flute, strings, and continuo. The old suites usually close with a Gigue, but this suite ends with a very light, playful piece in 2/4 time, denominated “Badinerie” or “Tändelei”, signifying supportiveness. 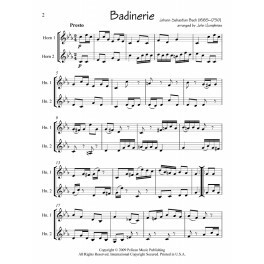 “Badinerie” is a word that Bach invented as a musical term (it means “banter”) to describe the soloist’s cheerful chatter. This little duet is a fast showpiece that will impress your audience. Performed at the proper speed it will fly by in just one minute.